UNDER CONTRACT - Spacious family home in an ideal location! This beautiful grand three bedroom family home is set on a 637(approx.) allotment and on an elevated position with a city view which is impressive at day and night. Architecturally designed and built by an Italian Master builder, this home is ideal for families who are looking to live in one of Adelaide’s desirable suburbs. This family home offers multiple living, lounge and dining rooms on the upper level, as well as a massive family/retreat room on the lower level. 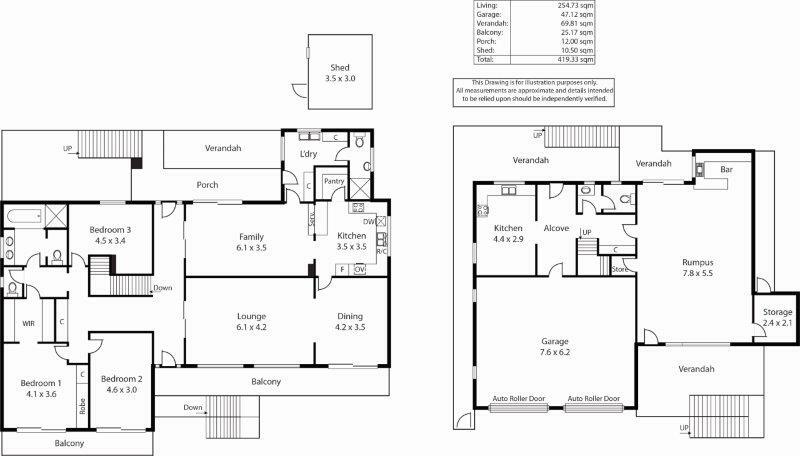 The downstairs family room could be changed into a Home Theatre, Master with ensuite or two additional bedrooms. This home is wheel chair accessible with a Custom built Stairlift along staircase. As you enter the house you are greeted with a formal lounge room that can be easily reserved for that special occasion. Flowing to the dining room which can also be used as an alternative living area or office, you then enter the kitchen. The kitchen features an electric stove and wall oven and a dishwasher and ample bench space. From the kitchen leads to yet another casual living/ dining area overlooking the garden. The large master bedroom boasts a good sized walk-in-robe. Both master bedroom and family living rooms overlook a large balcony and city views. Double entry main bathroom offers stylish bath and shower. Second double sized bedroom is fitted with built-in robes. On the lower level, there is another kitchen with gas stove and oven as well as a third toilet. You can move into this quality home immediately or update and add your own touches to suit your needs. Situated within close proximity to St Ignatius & Rostrevor college and within Norwood Morialta school zone, close to buses, nearby O-Bahn and within walking distance to Morialta Conservation park. It is within close proximity to the Newton Shopping Centre, 10 minutes to the Parade Norwood café, restaurant and shopping precinct and 12.5km to Adelaide CBD. This is where convenience meets quality. Entertaining family and friends has never been so easy and enjoyable with so much space and so many living/entertaining areas. This is a rare opportunity not to be missed. Make this home your own, call Suzanna Paul today!